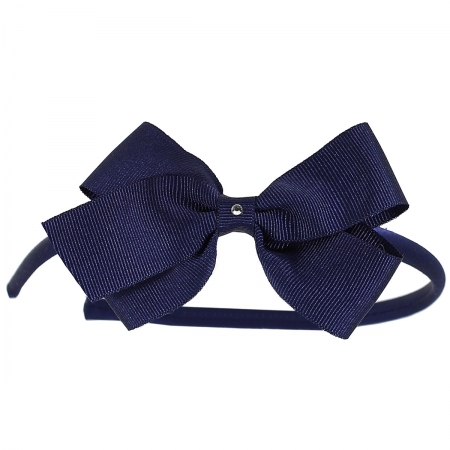 One Navy Alice band with diamante bow. Alice band is wrapped in matching colour ribbon. From babies to 8 years.